The British Keelboat League (BKL), in association with RS Sailing as an Official Partner, would like to welcome A-Plan Insurance as a RS21 boat sponsor for this year’s competition. In the first of a series of announcements, the BKL are thrilled to have gained the support of A-Plan Insurance to help deliver the mission of increasing participation in keelboat racing in the UK. “We are delighted to be involved with the BKL and RS Sailing. A-Plan Commercial Marine Insurance are very keen to support wider participation in the sport of sailing in addition to seeing more youth afloat. We have identified the BKL as a great way to do both. A-Plan looks forward to watching the BKL events unfold and we will be supporting all the way, good luck to all participants!” Malcolm Stewart, Branch Manager, A-Plan Commercial Marine Insurance. As teams from all corners of the UK prepare for their BKL qualifying event, RS Sailing prepares to have one of their dedicated BKL RS21 keelboats vinyl wrapped with A-Plan displayed on the boat. The British Keelboat League aspires to gain support like that of A-Plan Insurance for each of the 6 boats sailing in the BKL. This sponsorship provides essential backing to enable the creation of more keelboat sailing opportunities in the future. 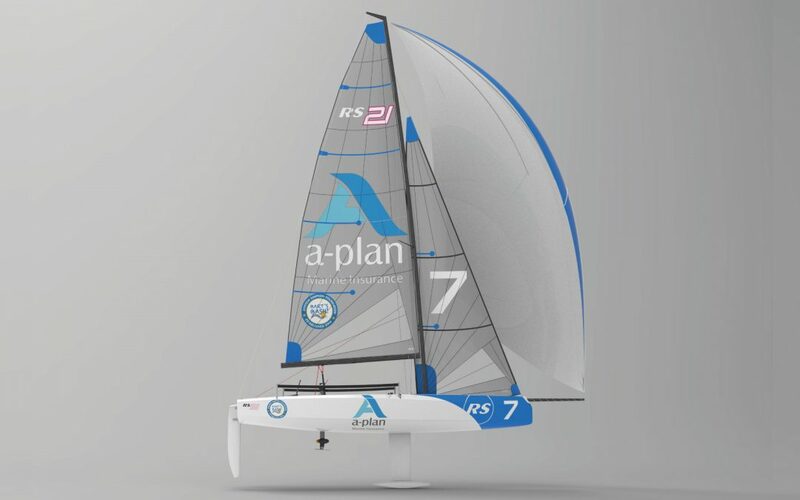 RS Sailing, who pride themselves on challenging the status quo by aiming to introduce keelboat sailing to the masses, are looking forward to seeing their RS21 wrapped by A-Plan in support of the BKL competition. Its just one month until the first British Keelboat League Qualifier is hosted by Ullswater Yacht Club and the A-Plan Insurance RS21 makes its way to the Lake District National Park for its UK racing debut.